MAISONNAT, dit Baptiste, PIERRE (usually referred to as Baptiste), ship’s captain and privateer; b. 1663 in France at Bergerac, son of Hélie Maisonnat and Jeanne Ségure (Chignac? ); d. after August 1714. Baptiste was married several times. About 1693 he evidently married Madeleine Bourg at Port-Royal (Annapolis Royal, N.S.). However, Frontenac [Buade*] wrote in a letter to Pontchartrain, dated 2 Nov. 1695 (n.s. ), that Baptiste had several other wives in France and Holland and that Rigaud de Vaudreuil knew of a wife of Baptiste who lived near Languedoc. Early the following year Baptiste brought Judith Soubiron, whom he had apparently married before 1687, from France to Port-Royal. She died in 1703, and in 1707 he married a widow, Marguerite Bourgeois (daughter of Jacques), with whom he was still living at Beaubassin on 29 Aug. 1714. 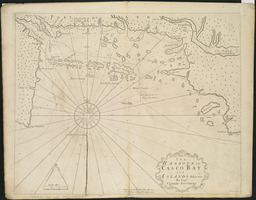 The first reference to Baptiste in Robinau* de Villebon’s journals relates that he had put in at Passamaquoddy Bay on 5 Jan. 1692, with a prize which he was taking to Port-Royal. There were quite a number of privateers like Baptiste based at Port-Royal and Beaubassin at this time [see Guion]. They gathered their crews from among the young Acadians of these settlements who were attracted by their free life and the hope of plunder. The activities of the privateers were opposed by the clergy who felt that they had a bad influence on the local youth. Baptiste had apparently been operating on these coasts for some time, for he was said to have made a long stay in Boston, including two periods of imprisonment, and to have been familiar with Manate (New York) as well. 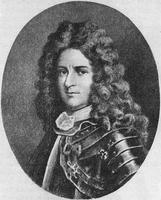 Baptiste reported to Villebon at the Saint John River on 4 May 1692. His two small vessels were outfitted there and he set out again on 10 May. By 22 June he was back, having captured within sight of Boston a brigantine of 45 tons loaded with wheat and flour. This made at least nine English vessels he had taken in six months. In October Simon-Pierre Denys de Bonaventure and Pierre Le Moyne d’Iberville arrived at Baie Verte with the ships Poli and Envieux. Villebon met them there, and, when they decided to join the squadron commanded by Jean Du Paty (Patés) for a raid on New England, he arranged a rendezvous with Baptiste at Pentagouet (on Penobscot Bay). Baptiste was to act as pilot and take part in the raids. He failed to keep the rendezvous, however, because English activity at Port-Royal made it impossible for him to refit there. 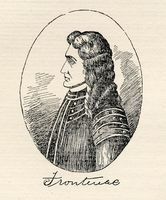 In October 1693 Frontenac wrote the minister of Marine that Baptiste would go to Paris to confer with him about plans for attacking New England and Boston. This visit must have been a decided success, for Baptiste returned to Acadia in 1694 in command of the corvette the Bonne. He soon captured five prizes off the New England coast. He continued successfully to harass English shipping until the end of May 1695, when he was attacked in Migascor (Musquash, N.B.) harbour by an English frigate and another armed vessel. After a long fight he and his crew escaped ashore; his corvette was taken but sank within 12 hours. Baptiste went to France later that year to account to the king for the vessel he had lost. In the summer of 1696 he was with Iberville and Bonaventure on 14 July when they captured the English frigate Newport near the mouth of the Saint John River. He also acted as pilot for the expedition which captured Fort William Henry at Pemaquid on 15 August (5 August, o.s.). Baptiste owned a homestead near Fort Nashwaak (Naxouat) in partnership with Jean Martel and he was there when an English force under Colonel John Hathorne attacked the fort on 18 October of that same year. On Villebon’s instructions Baptiste joined the Indians and directed them during the brief siege. When the English withdrew they abandoned two pirogues which Baptiste took to Minas where he outfitted them and recruited crews for a raid on the New England coast. In March 1697 he captured six fishing smacks south of Casco Bay. He returned to Minas for supplies and set out on another raid on 17 May. This time he was captured and taken to Boston, where he was held for some time after news was received that the treaty of Ryswick had been signed. A letter from Frontenac to the Earl of Bellomont, written 8 June 1698, demanded the release of Baptiste; Villebon reported him back on the Saint John River on 21 June. Baptiste’s partnership with Martel dissolved a few years later. English fishermen were forbidden by the treaty to fish off the coast of Acadia, and Baptiste may have been commissioned to capture those who ignored this ruling. At any rate he was a prisoner in Boston again in 1702, and the Massachusetts council was threatening to hang him as a pirate because he had been taken in time of peace. He was kept in close confinement until 1706 when he was exchanged for the Reverend John Williams, who had been captured in a French and Indian raid on Deerfield, Mass., in 1704. Baptiste returned to Acadia and settled at Beaubassin. He was thereafter employed as a port captain, and sailed the coast between Port-Royal and Placentia (Plaisance). 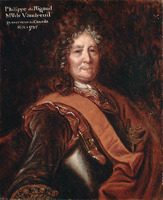 In 1709 and 1711 he took part in the fitting out of privateers at Placentia, and in 1714 he gave advice on the choice of a military site on Cape Breton Island (Île Royale). W. Austin Squires, “MAISONNAT, Baptiste, PIERRE,” in Dictionary of Canadian Biography, vol. 2, University of Toronto/Université Laval, 2003–, accessed April 20, 2019, http://www.biographi.ca/en/bio/maisonnat_pierre_2E.html.